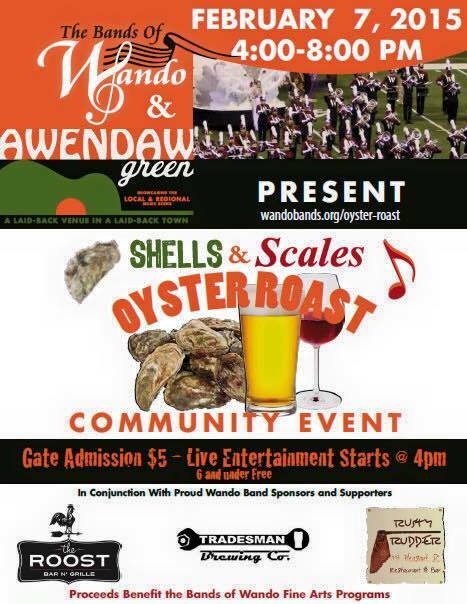 Join us for the Wando Bands "Shells & Scales" Oyster Roast - February 7, 2015 from 4:00pm-8:00pm at Awendaw Green. Food, music, and fun for everyone! Advance Gate Admission Tickets are Only $5.00 ($10 at the gate day of the event) Visit http://wandobands.org/oyster-roast to purchase tickets. Tell your friends, family, and share! All proceeds benefit the Bands of Wando Programs.